Thanks for this! You’ve definitely made me interested in reading this book. 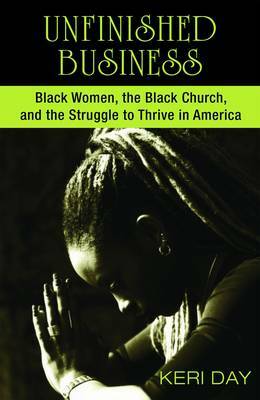 I’m personally very interested in what seems to be the black woman’s susceptibility to the prosperity gospel in America. I do plan on reading this, but what exactly does she have to say about this? Also, I fine the mentioning of T.D. Jakes to be quite interesting. He’s prominent amongst a lot of people – almost like a black Joel Olsteen, of slightly more substance ( emphasis on SLIGHTLY), especially w/ Oprah reppin’ him so hard. T.D. Jakes’ biggest audience still, and even from his humble beginnings, has always been black women. Youtube search “TD Jakes” and click on ANY of his vids, and no matter the diversity of his audience, gender or ethnically, it will always be majority black females. I hadn’t seen all of “woman thou art loose”, but from the bits I did see it’s as if he present Jesus Christ as the means to an end- instead of Christ BEING the end ( which is, of course, more scriptural). But this sort of theology is common for prosperity teachers- and I can’t help but ask myself why this appeals to black women to much- even my own mom. I believe Dr. Day has a lot to say about the prosperity gospel & the ministry of TD Jakes. On one hand, she argues (and i now agree) it’s empowering to see women seeing themselves as “God’s leading ladies” in a racist & sexist society that leans against black women. On the other hand Jakes’ limited understanding of prosperity gospel is the sort of thing Day criticizes, true prosperity follows the womanist principle of wholeness, addressing the needs of the community and individual.